If you like history then you have to meet Lightning Red! The man is history himself! He saw many of the big Jazz names when he was a kid, befriended Luther Allison, performed at the Armadillo World Headquarters, played with Omar and The Howlers, Charlie Sexton and WC Clark and watched how Little Stevie Ray struggled with his guitar! Now with the release of Groovemaster, Lightning Red, almost a blues legend himself, is on the road again and ready to show the world that he is still a master at the guitar! Killer licks, ditto grooves and trademark vocals are the master ingredients for his recipe. “Don’t Have to worry” is a fine example of his trademark vocals! The tune gives us his raw sound that is full and expressive! “Do The Revolution” is a great blues rocker that combines the burning hot guitar licks with the Texas blues style. “Lie No More” is all what the blues is about and on “Change is gonna come” (co-written with long time collaborator & band guitarist LZ Love) we hear some nice slide guitar as well as LZ’s voice taking over the vocals in this duet! “The Shake” is wonderfully blending blues and soul in an instrumental groove that could fit on any seventies spy-fi movie! “No matter brings” back all the misery and trouble the blues has seen over the ages in this standard 12 bar blues tune. Closing down is a funky blues instrumental with a screaming guitar taking over the vocals! A very nice way to close an album that gave us 12 hot Texas blues tracks. 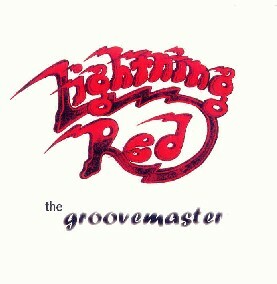 The passionate guitar playing combined with some nice lyrics on “Groovemaster” makes from this offering by Texas guitar hero Lightning Red a much appreciated album. The low-down funky shuffles with rockin’ boogies and elements of funk-driven blues creates an experience that you simply can’t Keep quiet.